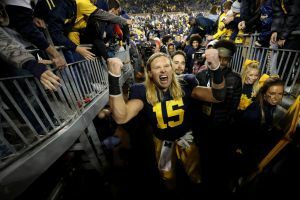 Chase Winovich chose to stay in college to pursue championships and improve his standing for the NFL draft. No. 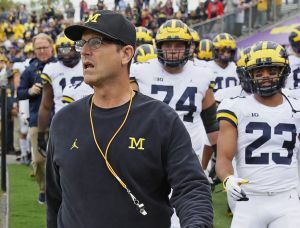 5 Michigan seems to have a clear path to a Big Ten title and perhaps the College Football Playoff. And the defensive end appears to be improving his stock among pro scouts. 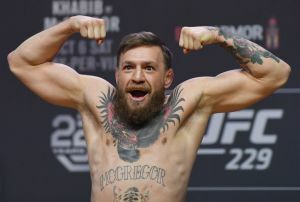 The fifth-year senior also is having a lot of fun along the way, trying to live his life like UFC superstar Conor McGregor, whom he has befriended. Like McGregor, Winovich has a way with words and an ability to make headlines and stir things up on social media. He’s doing it again leading into Saturday’s game at home against No. 14 Penn State. The Nittany Lions are one of four Big Ten teams that beat the Wolverines in 2017, making their game a stop on what Winovich has called a “revenge tour” this season. 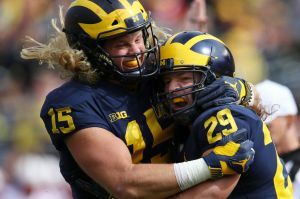 “We knew we had revenge to give out on the people who were kind of bullying us, I’d say, just beating up on us last year,” Winovich said. “They kind of took advantage. We were kind of in an in-between year and something about that gave me a bad taste in my mouth. When asked about collecting interest, Winovich wouldn’t elaborate. 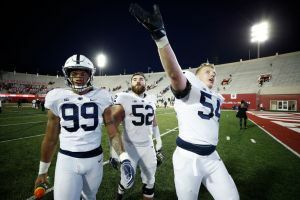 The Nittany Lions likely wish Winovich, who is from Jefferson Hills, Pennsylvania, was giving them the every-snap energy he provides for one of the nation’s best defenses. 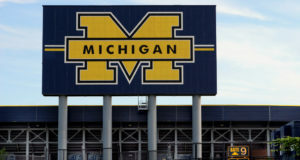 The Wolverines rank No. 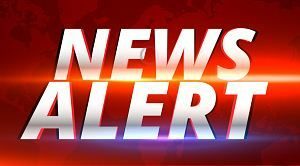 1 in college football in total defense, giving up just 220 yards a game, and pass defense, allowing 122.9 yards per game. 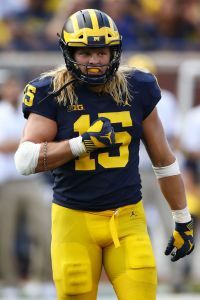 The 6-foot-3, 253-pound Winovich has a team-high 11 tackles for loss and is third on the team with 43 tackles even though teams often run away from him. 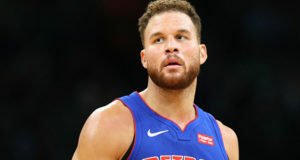 He may have had his best game against the team that has proven to be the best, No. 3 Notre Dame, which gave up three tackles for loss to him and a total of eight tackles in a seven-point win over the Wolverines. 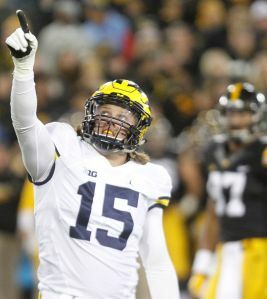 Winovich is regarded as the top player on Michigan’s defense, getting named Big Ten Defensive Player of the Year midway through the season by The Associated Press and being the conference’s only defensive player on the AP’s midseason All-America team . He’s also a semifinalist for the Bednarik Award, which recognizes college football’s top defensive player. Harbaugh also likes Winovich’s style, which includes letting his blond hair flow from out his helmet and sharing his thoughts relatively unfiltered. “He does everything at such an intense level, hard-working level, and he’s gung ho as he’s doing it,” Harbaugh said. “It seems to be a rarer trait in individuals these days. Sometimes, younger people thinking it’s more cool to have an approach that they’re too cool for school as opposed to gung ho.